I won this Koa carved bookmark from author Rahna Reiko Rizzuto during her Facebook party for Hiroshima in the Morning. 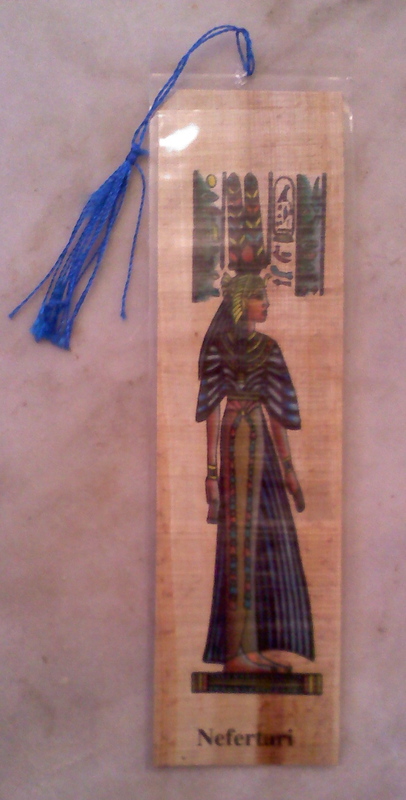 This bookmark is made of real papyrus and came to me from Egypt, via a friend. The spelling of the name at the bottom is quite interesting to me. I’ve gotten a couple new very cool bookmarks recently, and I thought I’d share them with you. (I’ve always loved bookmarks — I had a collection of them when I was in elementary school.) Aren’t they cool? I haven’t actually used either one yet, but I’m quite enjoying them nonetheless. This entry was posted in Asides and tagged bookmark, reading. Bookmark the permalink. They’re both beautiful but I love the first one!